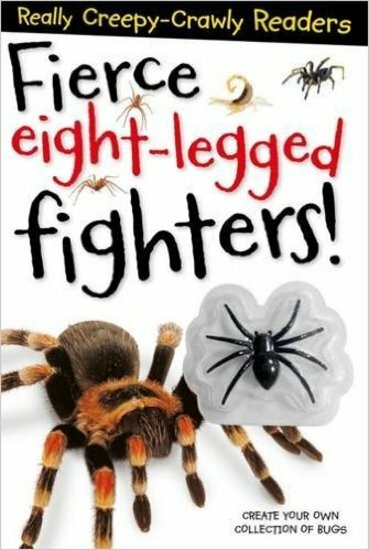 Buy Really Creepy-Crawly Readers: Fierce Eight-Legged Fighters! Love bugs? Starting to read alone? Would you like to read more about them? And play with your own toy bug? Welcome to Really Creepy-Crawly Readers, where you can say hello to your favourite insects close up! So let’s get started with this book. The tough spiders inside are ready for battle. But what makes these fierce fighters so strong? Take a look. See the world’s fiercest spiders in stunning colour photos. Read all about them – then play cool games with your plastic bug!